A new era in shifterkart racing is on the horizon here in North America. Superkarts! USA has been the catalyst of shifterkarts for decades now in the United States. During the early years, the engine modifications were not limited as they are today, with multiple manufacturers. It moved from nearly an open structure down to what was called the ICC powerplants, which were karting-specific engines made from karting manufacturers. That grew and went away until the Stock Honda format was developed and grown under the current administration at Superkarts! USA. Today, shifterkart racing is going in different directions with those wanting to follow what CIK-FIA has with the KZ format, there is the Rok Cup USA spec engine platform, and now Superkarts! USA is moving forward with the addition of the IAME SKUSA Shifter Engine (SSE). Working directly with the Italian factory, Superkarts! USA and IAME have worked nearly two years on development of the SSE powerplant. The X30 Super Shifter Spec US is engineered around the ideas that SKUSA has set, working alongside those with IAME and here with veteran karter Lynn Haddock. Working with engine builders throughout the US, SKUSA has received feedback and hands-on testing to help feed the development of SSE. 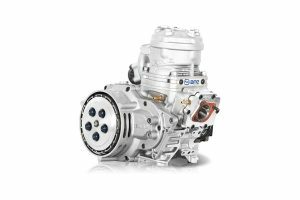 The goal of the SSE engine is to offer an increased performance, reliability, consistency and ease of use with a displacement of 175cc and utilizing the Tillotson HB-15A carburetor. 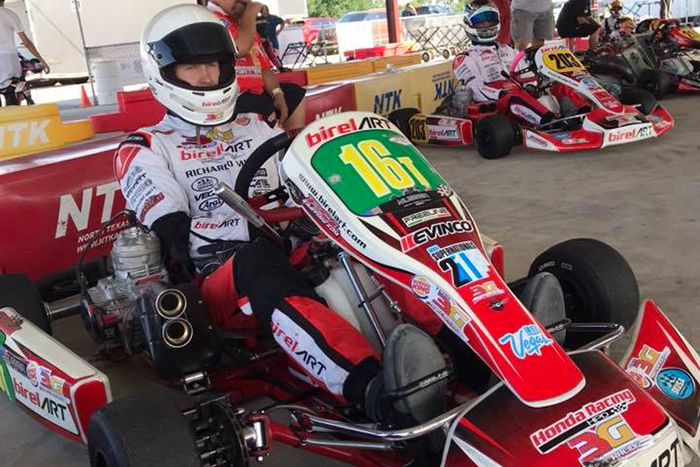 The IAME SSE engine took part in its first real competition event with the Texas ProKart Challenge at the North Texas Karters in Denton, Texas. 3G Kart Racing drivers Jordon Musser and Michael Ilavia contested the Shifter Unlimited category, competing alongside the S2 Semi-Pro and S4 Master Stock Honda categories. The 1/2-mile track is tight and challenging, giving Musser and Ilavia a solid test for the engine package. After a day of getting used to the powerplant, Musser was able to record a 35.032 lap with Ilavia a 35.363 seconds. The quickest Stock Honda lap during that session was a 35.627 lap. A near six-tenths of a second quicker for the IAME SSE over the Stock Honda package. Superkarts! USA is hosting a test session at the upcoming SKUSA Pro Tour SummerNationals at New Castle Motorsports Park in August, which will provide another opportunity for racers to sample and see first hand what the IAME SSE engine can do. For now, here is Jordon Musser with his first-person narrative of the IAME SSE powerplant.